They say never bite the hand that feeds you. But that seems to be what Space Coast Credit Union did with an auto lending campaign attacking interest rate markups charged by dealerships. The credit union had to do a big U-turn after the auto industry protested, with some car dealers decrying the marketing initiative as a smear campaign. 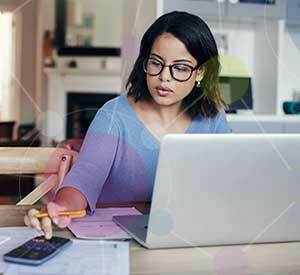 Few consumers are aware of “rate markups.” A rate markup (sometimes referred to as “buy-ups” or “dealer reserves”) occurs when a car buyer arranges for bank or credit union financing at the dealership, and the rate they get is marked up. It is a fairly common practice, encouraged by the indirect lending policies of both banks and credit unions, but some people feel these markups are “kickbacks” to car dealers. 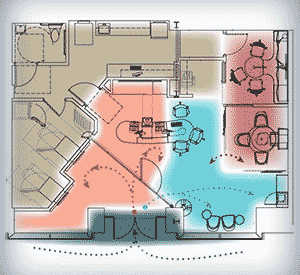 The fact remains that most consumers have never heard of rate markups, and don’t know what they are. Space Coast Credit Union doesn’t engage in rate markups, instead choosing to compensate its dealer partners using a flat fee. So they decided to create a consumer awareness and advocacy campaign calling attention to the issue. 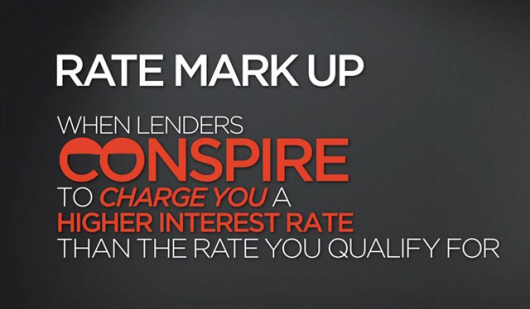 According to the credit union, rate markups average around 2.5% and gouge consumers for hundreds of millions of dollars. Space Coast wanted to get the word out, figuring they could grow their auto loan portfolio. 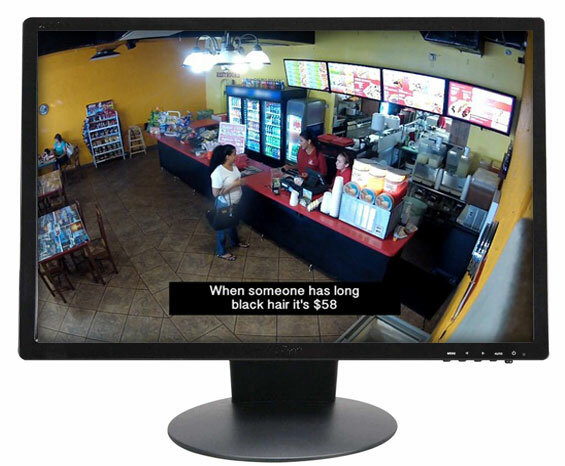 Back in April, Space Coast hid cameras in a couple Miami businesses and captured the unscripted reactions of patrons who were being discriminated against simply because of what they looked like or were wearing. 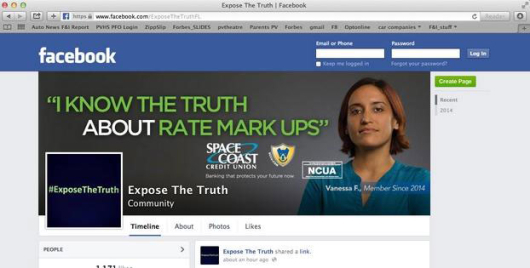 A Facebook profile (above) and online ad (below) for Space Coast Credit Union’s “Expose the Truth” campaign. But an important secondary audience — car dealers — were furious. They are already wrestling with a misanthropic image: the smarmy used-car salesman. They didn’t appreciate the ethical insinuations Space Coast conveyed in the “Expose the Truth” campaign. 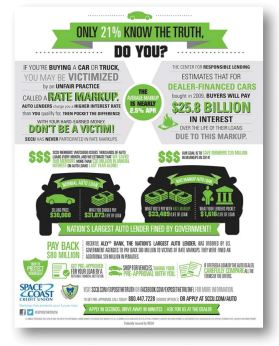 An infographic created by Space Coast for the credit union’s “Expose the Truth” campaign painting an unflattering picture of auto loan rate markups. “Space Coast Credit Union’s ads treat dealer reserve — the small amount of interest lenders allow dealerships to add to the buy rate to compensate dealerships for acting as a middleman — like it’s a dirty secret,” says Jim Henry, a journalist covering the auto industry. Car dealers felt shamed by their credit union partner, so they appealed to their trade group, National Automobile Dealers Association (NADA), a trade group representing 16,000 dealerships. Ultimately the credit union caved to dealers’ objections, and the campaign was subsequently pulled on July 17. The campaign’s Facebook page was deleted, and videos tied to the campaign were removed from the credit union’s YouTube channel. Space Coast even had their ad agency pull the campaign down off their website. One industry watchdog who goes by the pseudonym “The Credit Union Geek” thinks he agrees the campaign should have been pulled. Based in Melbourne, Florida, Space Coast Credit Union has $3.2 billion in assets and nearly 300,000 members. This article was originally published on August 4, 2014 . All content © 2019 by The Financial Brand and may not be reproduced by any means without permission.